My Father's Dragon is one of our Favorite Fairy Tales, and featured in our collection of Children's Stories. Relive the magic of Elmer Elevator's adventures as he runs away to Wild Island to rescue a baby dragon who needs his help. The endearing children's story is made extra special because of its beautiful illustrations. Hopefully, a thoughtful grown-up read this book to you when you were a child, and now it's your turn to share it with your own children! 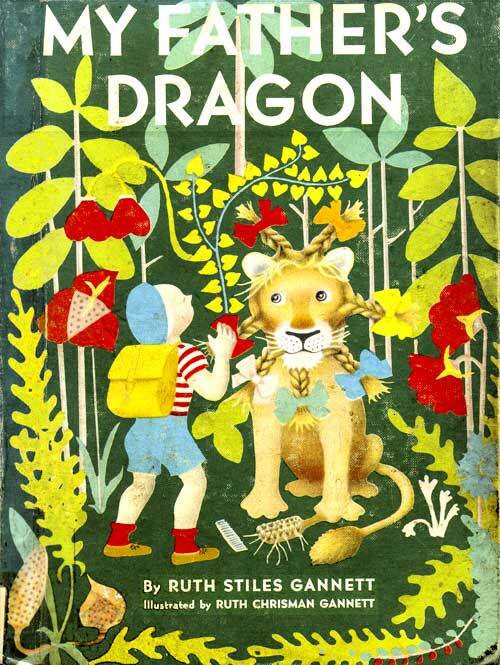 My Father's Dragon is the first book of Ruth Stiles Gannett's "Elmer and the Dragon" trilogy, published in 1948. It won prizes as a Newbery Honor Book and an ALA Notable Book. Return to the Ruth Stiles Gannett library.